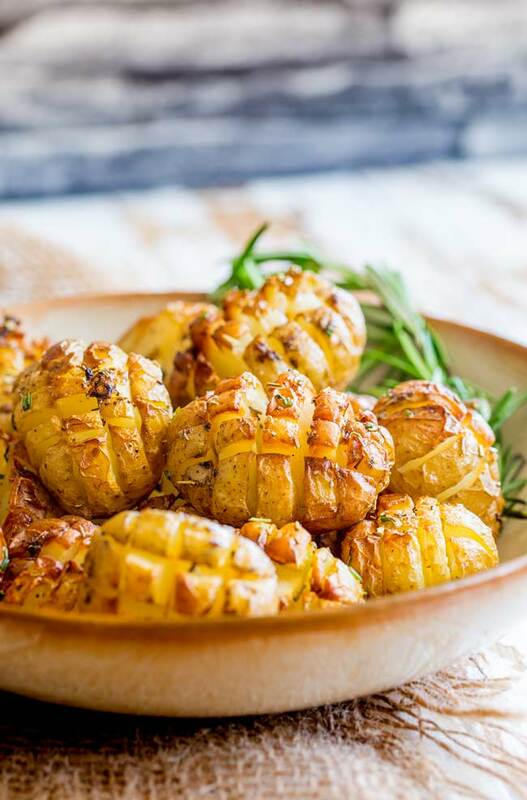 These Hedgehog Roasted Rosemary Potatoes are the most delicious and beautiful side dish. 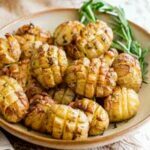 Crispy on the outside, buttery and soft inside and packed with rich rosemary flavours, they are a dinner time treat and would be perfect for any occasion. Aren’t they just beautiful! I love how these roasted rosemary potatoes fan open as they cook. This allows the buttery juices to get inside the potatoes and creates super crispy edges. Hence the name hedgehog roasted rosemary potatoes, because well, they have a hedgehog affect. Sort of??? Maybe?? These hedgehog potatoes are a take on a hassle back potato. Something I have been eating since my childhood! To create the hedgehog effect you place the potato on a chopping board and place a wooden spoon either side of it. Then as you slice the spoon handles stop you cutting all the way through. Rotate the potato by 90º and cut again to create the fabulous hedgehog effect. Then the potatoes are coated in a mixture of butter and oil, spiked with rosemary and garlic powder. 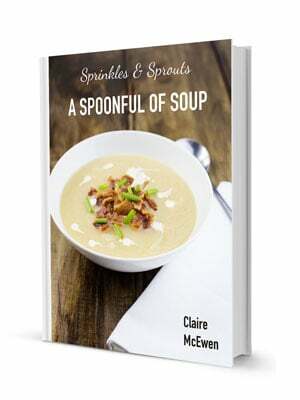 In the recipe I use dried rosemary and garlic powder. I have tried fresh and they burn before the pottatoes are cooked, which makes everything taste slightly bitter. Using dried herbs, you get the flavour in the butter and oil but they don’t burn. Then just finish the dish with a little fresh rosemary. 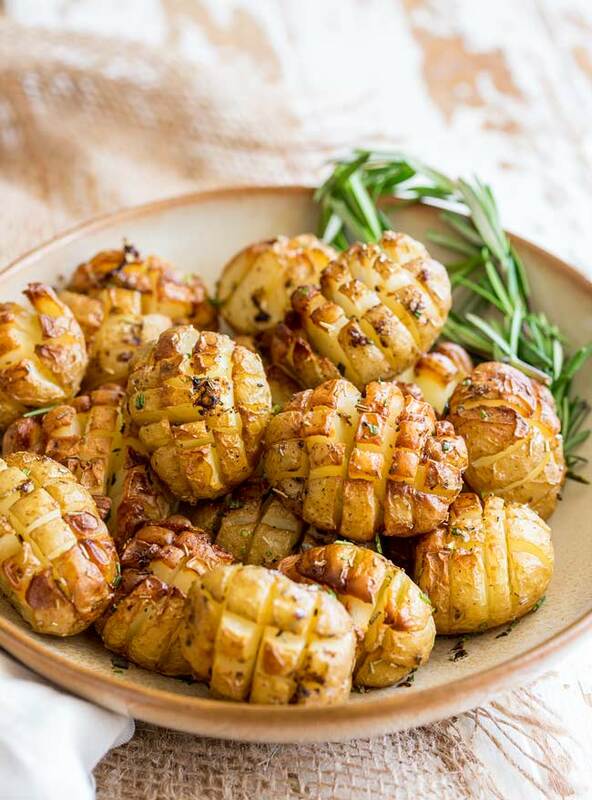 Check out the video and see how easy these Hedgehog Roasted Rosemary Potatoes are! Preheat your oven to 200ºC/400°F . Place a potato on the chopping board and lay a wooden spoon handle either side. Cut slices into the potato, using the spoon handles to stop the knife cutting all the way through. Turn the potato and cut in the opposite direction to create the squares. Repeat this cutting process with the remaining potatoes. Mix the melted butter, olive oil, dried rosemary, garlic powder, salt and pepper together in a bowl. Stir to combine. Add in the potatoes and stir until the potatoes are covered in the butter. Tip the potatoes onto a lined baking tray and bake for 40 minutes until they are golden and crispy on the outside and tender within. Sprinkle with the chopped fresh rosemary and sea salt flakes. 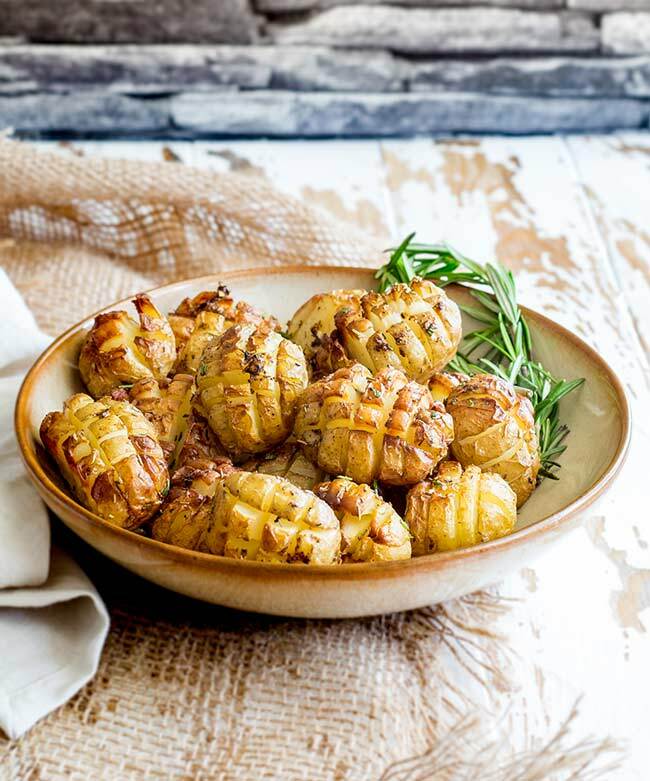 If you love food why not subscribe to my newsletter, I will drop you an email every now and then, just to say hi and send you a couple of recipes I think you might love, like these Hedgehog Roasted Rosemary Potatoes. I think that would work Kyla. The only issue I can see is the potatoes breaking apart as they defrost. The ‘hedgehog ness’ means they are more delicate than a whole potato, this isn’t a problem if eaten straight away as the crispy roasted skin keeps them together. But freezing them will make the skin soft so they will become more susceptible to breaking in half. I would freeze them on a sheet so they stay seperate, once solid you can transfer to a container. Then when you want to defrost, defrost them on a lined baking sheet, that way you don’t have to move them much once they are soft again. I hope that helps, I have never tried it, but that would be what I would decide to do if I was freezing and reheating. Oh my goodness! Love the use of Rosemary here! Brilliant flavors! I love this hedgehog cutting technique – and especially the tip about using the wooden spoon. Simple, roasted potatoes with herbs are always a perfect side dish. Pinned!